Continuing with the catalogues for specific sectors, this time we will look at “Hotel & Restaurant”, two of the sectors where the Solid Surface from PORCELANOSA Group, KRION®, is best received. As in the catalogues for other sectors, the suggestions and concerns of the professionals of the sector have been of vital importance when creating this document, which fulfils functions of technical support and requirements, designed for end clients. At the same time, as in the catalogues for other sectors, in addition we present an A6 format folder, which shows 3 of the colours recommended for hotels and restaurants, in this case 1100 Snow White, 9905 Elegant Black and 7502 Moai Star. 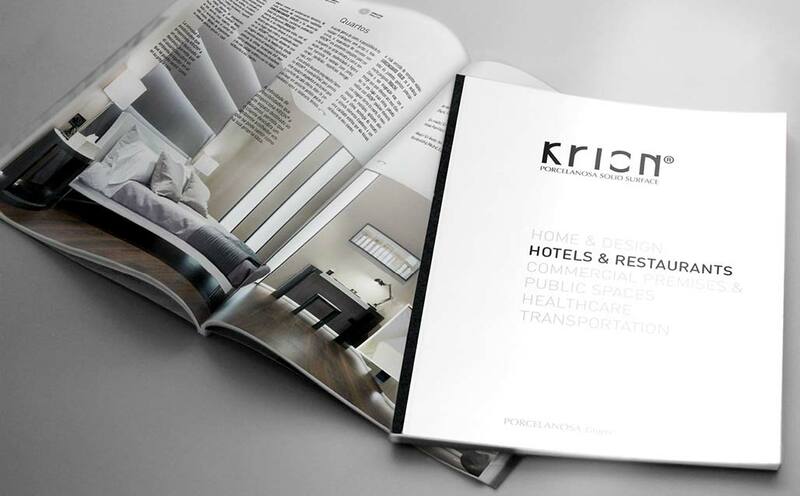 In the catalogue we can find the properties of KRION®, comparisons with other materials, and projects – extensive content which hope is useful for anyone who wishes to bring the world of KRION® to the “HOTEL & RESTAURANT” sectors. HOTEL & RESTAURANT Catalogue PDF.